Rosette PambakianRosette Pambakian, Tinder’s vice president of marketing and communication. Tinder’s marketing and communications chief Rosette Pambakian has reportedly been put on leave. She and three other staff ended up on leave after they sued the dating app’s owners for $US2 billion. Pambakian wrote a heartfelt email to staff claiming it was important to “shine a light on the terrible practices I have witnessed from Match.” The email was obtained by Fortune. Tinder’s marketing and communications chief wrote a heartfelt email to staff before reportedly being placed on administrative leave for suing the dating app’s owners. Rosette Pambakian is one of 10 current and former Tinder staff who filed a $US2 billion lawsuit on Tuesday against nterActiveCorp (IAC) and Match Group. They allege that IAC purposely undervalued the startup to reduce the amount they had to pay in early employee options. They also claim that former Tinder CEO and IAC Chairman Greg Blatt “groped and sexually harassed” Pambakian. Pambakian has now been placed on leave while the legal action plays out, according to Fortune. Three other Tinder employees involved in the lawsuit have also been asked to step back from their roles, the report said. Although Fortune did not identify these other employees, current Tinder staff named as plaintiffs include cofounder Jonathan Badeen, Vice President of Finance James Kim, and Joshua Metz, the director of marketing. 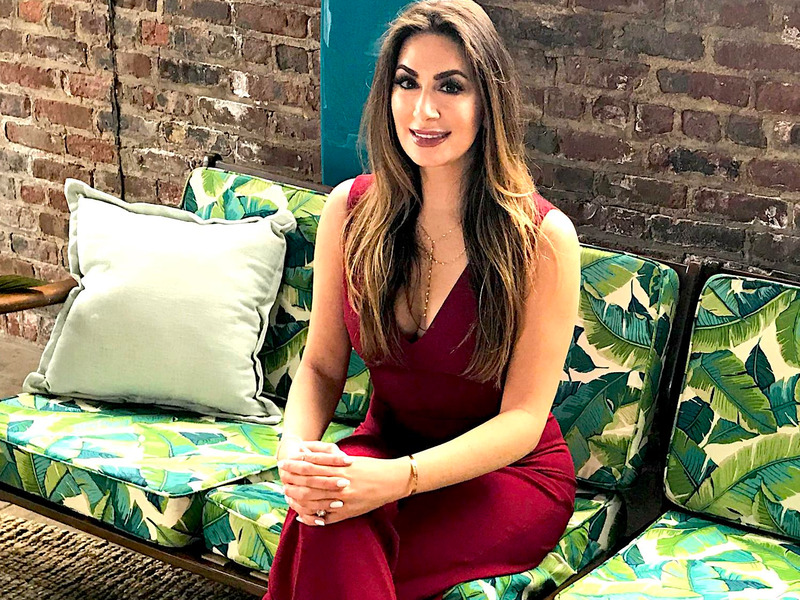 Pambakian said she had remained at Tinder because of her love for the company, from writing her first press release for the dating app in 2012, to becoming its vice president of marketing and communication. “I take great pride in having grown Tinder from scrappy startup to global powerhouse, and, with all of your hard work, maintaining Tinder’s position as an industry leader,” she wrote. As you may already know, a group of founders, executives, and early employees of Tinder-including me-filed a lawsuit today against IAC and Match. I want to share with you my reasons for joining the lawsuit. But please know at the outset that I am very proud of Tinder and the work that our amazing team is doing here. The lawsuit we filed today lays out our allegations against IAC and Match in detail. I joined this suit because I believe that it is important to shine a light on the terrible practices I have witnessed from Match, including covering up sexual misconduct by senior executives and depriving talented employees of hard-earned compensation. In spite of this, I have stayed at Tinder because I won’t let other people’s misconduct dictate my future. I love this company and working with all of you. Tinder will always be a defining experience in my professional career and personal development. I wrote the very first press release for Tinder while working at a small PR agency in 2012. Tinder’s founders had walked into my office and showed me an app they built. Little did I know that we would join forces and go on to build Tinder into a global phenomenon and a piece of the pop culture lexicon, which would have a profound impact on millions of people’s lives. After I spent a year helping to launch Tinder in 2012, I was offered the career opportunity of a lifetime and brought in-house to create Tinder’s global communications division. As a one-woman show back then, I felt the impact my work had on Tinder’s growth and brand awareness every day. My role eventually expanded into leading the marketing division, and I have poured my life into that work for the past six years. I take great pride in having grown Tinder from scrappy startup to global powerhouse, and, with all of your hard work, maintaining Tinder’s position as an industry leader. We built a product together that is used in 196 countries and that changed the culture of how people meet and date. We are a global phenomenon and a cultural icon. That did not happen by accident. It was not luck. It was through the blood, sweat, and tears of an ambitious group of young people who had vision and built a game-changing company from the ground up. As Tinder employees, we made a deal with IAC and Match that we would work hard and, in return, if we were successful, the company would share the fruits of that success with us. IAC and Match violated those contracts and worse. The ten of us are suing today to right that wrong.